TIWE is an OLED watch. 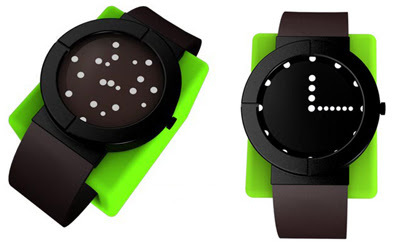 The white round dots run randomly, when you want to know what's the time, just shake it or hit the glass surface slightly and the dots will align to show the time. TIWE is still a design, and its designer, Lv Zhongfang, is still in search of a suitable manufacturer.